We provide the whole range of plumbing services. Get in touch with us and we'll get back to you the very same day. 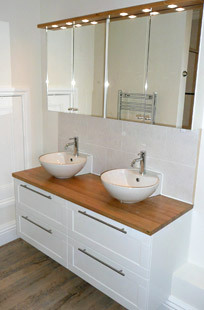 We are happy to work on an installation-only basis, and fit a bathroom to your design and specification. We also appreciate that sourcing materials can be timely and sometimes stressful, and are equally happy to do all of the work for you, supplying the suite and all materials at a very fair price. Our service covers all areas of bathroom installation from standard suites to the more luxurious, booster pumps, Jacuzzis, showers and wet rooms. 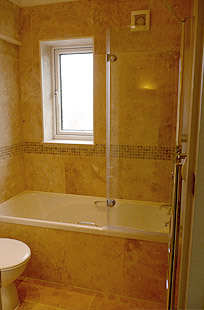 We will also undertake the other areas of a full bathroom installation including: electrical works, dry-lining & plastering, floor screeding, floor and wall tiling, decorating and specific lighting arrangements.